Approximately 1 week after an epic upset in Athens, the Georgia Tech Yellow Jackets found themselves in the ACC Championship game. Their foe? #4 ranked Florida State. Charlotte’s Bank of America Stadium played host to this year’s Conference Championship game in front of 64,808 fans. 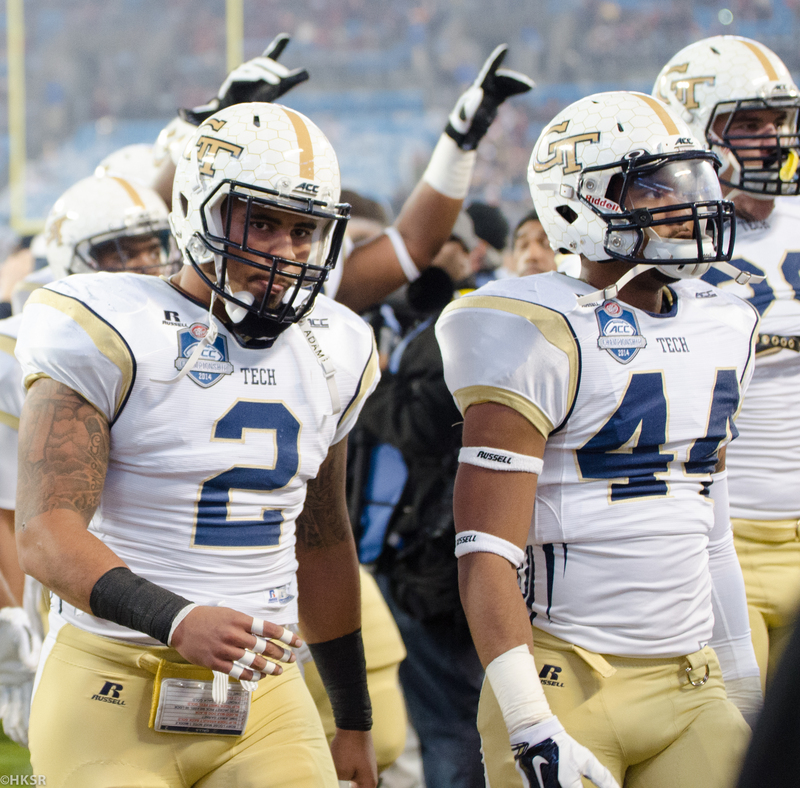 Synjyn Days made his return to the Jackets’ lineup with a 3-yd touchdown to start the game. After a big defensive stop, followed by an exceptional drive that ended with a Days touchdown, Georgia Tech found themselves up 7-0 against an opponent who was heavily favored to blow them out. 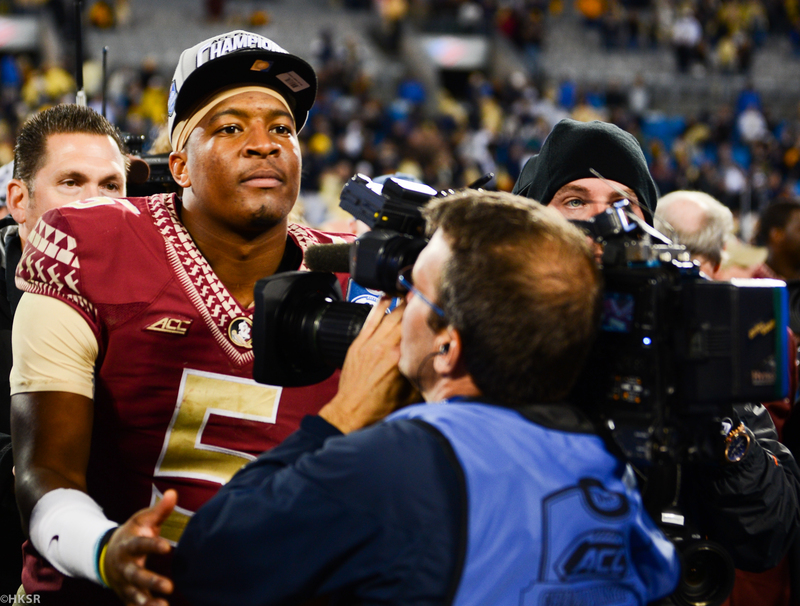 The Seminoles responded when Jameis Winston found Nick O’Leary with a 46-yd pass as he calmly ran in for the touchdown. The game was turning into an all-out battle of offense. Georgia Tech finished another long-yardage drive with a 3-yd touchdown by Running Back Synjyn Days. With the score 14-7 and the Quarter coming to a close, the Florida State Seminoles had every intention of responding. That came with a 1-yd. run by Dalvin Cook, who was responsible for all the yards on their scoring drive. To shake things up, the Jackets finally took to the air after 27 rushes as Justin Thomas hit Deon Hill for the big gain into FSU’s red-zone. From 4-yds out, Zach Laskey ended the 7 play, 75 yd drive with the rushing touchdown. Laskey’s touchdown had the Jackets up 21-14 with 8:00 left in the 1st Half. The back-and-forth continued as Jameis Winston threw a 44-yd rocket to Rashad Greene for the Seminole touchdown. This coming just as Tech’s-D was solidifying itself, Greene took advantage of his open space as the cornerback covering him slipped and fell by the far sideline. Minutes later Winston went back to Greene to take the lead just before halftime to make it 28-21 Florida State. Synjyn Days found the end-zone again from a yard out while FSU responded with a 33-yd field goal. The back-and-forth continued between the 2 division leaders as the game was now 31-28. Tech’s defense finally got a stop and forced Florida St. to kick another field goal from 32 yds out. So with the Noles up by 6, they tried a new setup to get their D ready to face a vicious GT running attack. By the time the 4th Quarter started the Yellow Jackets had over 320-yds rushing. With Georgia Tech down by 6 and the way both teams have been scoring one after another, the Ramblin’ Wreck were looking to score on their next possession and take the 1 point lead. Unfortunately, they ended up in a 4th Down position around midfield and failed to convert. They turned the ball over with 6 minutes left in the game. After the turnover on downs, Florida state put their offense in the hands of Dalvin Cook. Cook put up 29-yds on the ground to put the Noles in FG range. After the successful try by Roberto Aguayo the score was FSU 37, GT 28. With 2:56 left in the game, the Ramblin Wreck found themselves in a horrible position. Down by 9 points and starting at their own 3-yd line, the Yellow Jackets had a mountain to climb. Out of all the times they chose to pass they went to the air in duress. Quick passes to B.J. Bostic and Darren Waller from Justin Thomas kept the Jackets moving downfield. They were moving with such fluidity and quickness, one had to think “where was this all game?” They relied so heavily on the run-game that it became their only source of offense. Thomas connected with Waller for 25-yds and a touchdown to cap a 6 play, 97-yd drive that lasted one minute and ten seconds. Again, with a scoring drive like that, there was no reason the Jackets should’ve fell behind. So with the game now at 37-35 and the Jackets down by 2, they had to go for the onside-kick. With little time to play and a capacity crowd going crazy in cold and fog, the Jackets made a last ditch effort to snag what they deserved, an ACC Championship title. Unfortunately, it didn’t work out that way. 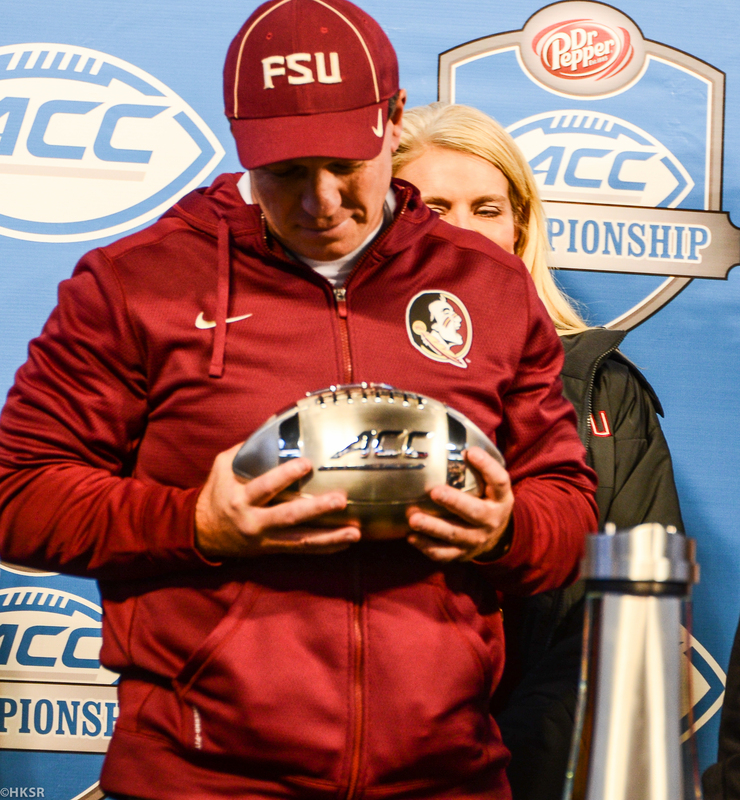 Their ACC title hopes fell when the onside kick landed in FSU’s hands and immediately downed the kick. Florida St. ran the clock out and the miracle at B of A Stadium never happened.